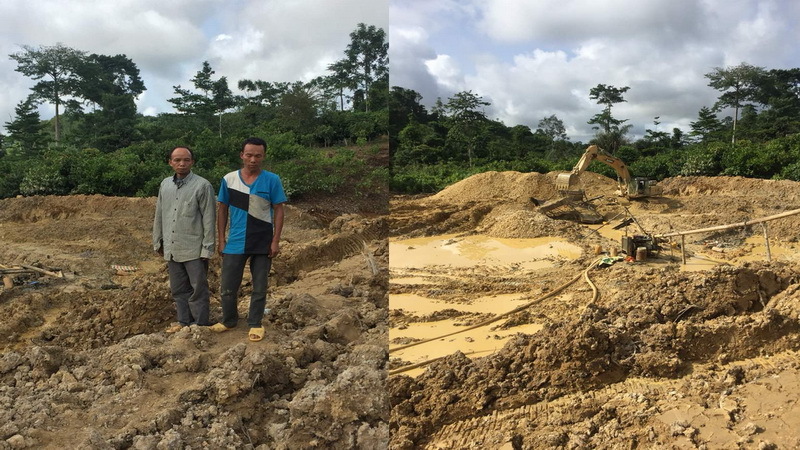 The national anti-galamsey taskforce has uncovered an armed illegal mining group supervised by four armed Chinese illegal miners and a Ghanaian at Asendua near Hiawa in the Amenfi Central District of the Western Region. The Operation Vanguard joint taskforce’s Forward Operating Base (FOB) in the region managed to arrest the five and seized one locally manufactured single barreled gun with ammunition and destroyed their water pumping machines. The spokesperson of the team, Squadron Leader Robinson Omane Agyei identified the Chinese nationals as 41-year-old Tan Zhonguang, 40-year-old Wei Wenzxue, Li Shiping, 54, and Wei Hue Lim 35. He said their Ghanaian counterpart identified himself as 44-year-old Kwabena Acheampong, however, the other army of Ghanaians working for them managed to escape from the site through the bushes. Upon their arrest, the suspects were busily engaged in digging, according to the taskforce. The patrol team seized a Sany excavator with Chassis No. SYO33DBG52838 at the site and sent it to the Manso Amenfi Central District Assembly, with one other dysfunctional excavator in Zoomlion labeling with Chassis No. ZL0300360E0000021 abandoned at the site. Squadron Leader Agyei said the suspects and the exhibits have been handed over to the Manso Central Police pending further investigations. Operation Vanguard, the spokesperson said is focused on its mandate of flushing out illegal mining and commended the general public for their overwhelming support. He urged the public to volunteer information on the hideouts of the illegal miners, and asked community leaders and members to join hands with the team to fight the canker to save the environment, water bodies, protect national assets and lives. He emphasized that the taskforce wants to achieve the aim of keeping the environment safe for today and future. 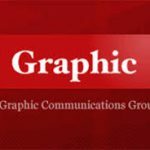 The Daily Graphic is a Ghanaian state-owned daily newspaper published in Accra, Ghana.